Anna Michelle Collar was born August 26, 1980 in Powell, Wyoming and grew up in Darrouzett, Texas. Anna had a passion for life and a smile that lit up any room she entered. Her friends and family remember her as always going out of her way to help others. She was diagnosed with leukemia on October 14, 2004 and lost her battle on December 22, 2004. In myth and magic, at the time of the Borgias (15th - 16th Centuries), rubies were thought to counteract poison - and were therefore much in demand! The stone was supposed to darken when you were in danger. 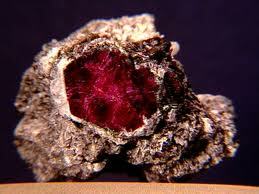 When rubbed on the skin a ruby is thought to restore youth and vitality. In the Middle Ages, the ruby was viewed as a stone of prophecy - people believed it would darken when its wearer was in danger. In October of 2004, many who lived in the Darrouzett, Follett and Booker communities were shocked by the diagnoses of Anna Michelle Collar with a rare form of leukemia. Though confronted with a challenging, diagnosis, Anna was never one to give up hope; even after the doctors told her there would be a two year recovery period following several rounds of chemotherapy and possible remission. To occupy the recovery time, she and her mother, Cathy Collar of Darrouzett, planned to make jewelry out of Anna's collection of stones. 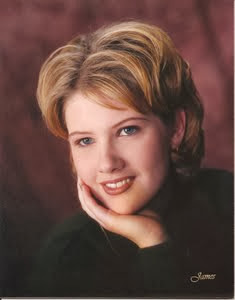 Unfortunately in the early morning hours of December 22, 2004 Anna lost her battle with leukemia. Determined to keep Anna's dream of a jewelry line alive, her mother and two sisters, Brandy Walker of Darrouzett and Jennifer McMurrain of Bartlesville, decided to start a group in Anna's name. Anna's Legacy was formed in 2005 with a mission to bring joy and laughter to people struggling with disabling disease by giving Gifts of Hope to those stuck in the hospital or undergoing treatment. The group started by attending arts and craft shows in the neighboring towns selling handmade jewelry made from semi-precious stones under the jewelry lines Mystique and Anna's Legacy. The Anna’s Legacy line featured Anna’s Birthstones, Carnelian and Peridot, which were also the colors for leukemia awareness. Twenty-five percent of all sales from Mystique and one hundred percent of all sales from the Anna's Legacy line were donated directly to Anna's Legacy. By 2007 the group was attending arts and craft shows in three states and had four jewelry lines donating twenty-five percent of their profits. Shop at our Etsy store anytime!